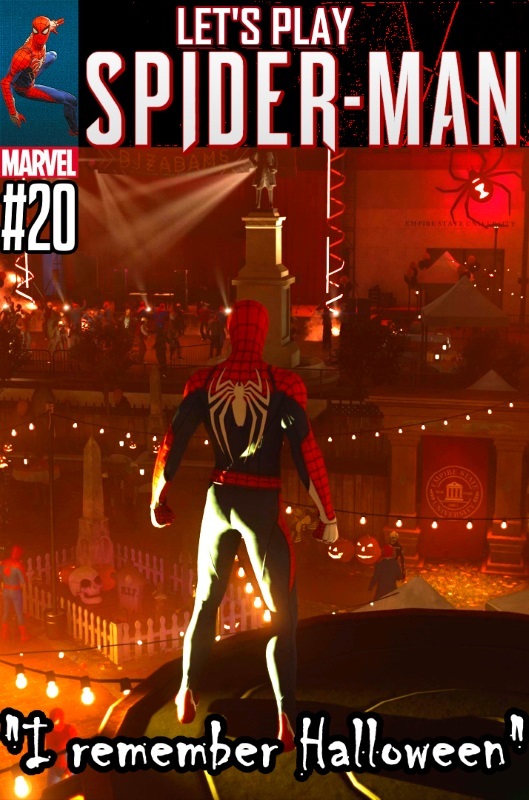 There is apparently a second Spider-Man running around and helping people around town. That’s admirable and all, but we should probably get to the bottom of this. Elsewhere, we encounter the most annoying character in the game! I mentioned in the video that I wasn’t familiar with Fact Channel News. I looked it up, and apparently it’s a news channel (imagine that) J. Jonah Jameson worked at after his stint as the mayor of NYC in the comics, and also where Cindy Moon a.k.a. Silk was employed as an intern. 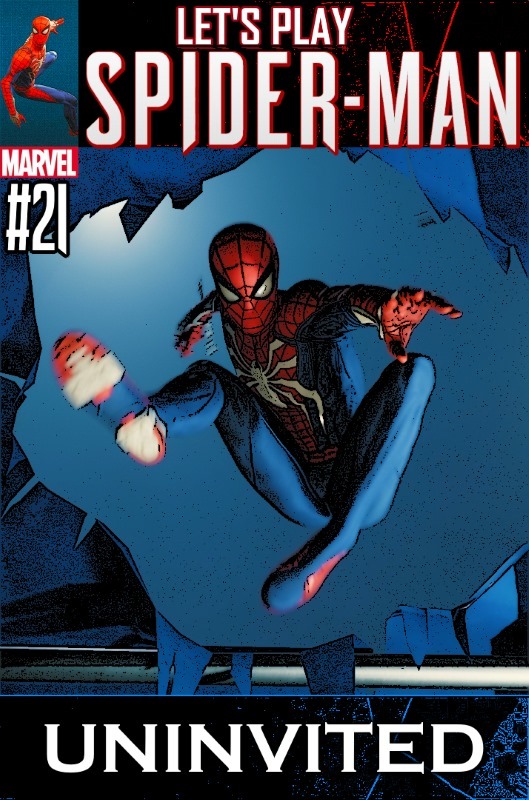 Then, in the Clone Conspiracy arc which I haven’t read but is apparently a garbage fire of immense proportions, Ben Reilly (back from the dead in a new clone body, and now a bad guy because why not) attempted to use Fact Channel News’ signal to spread the Carrion virus all over the world. Wonderful. Also, I seem to have kind of mumbled the name of that last challenge type. Just to clarify, it is called the Drone Challenge. 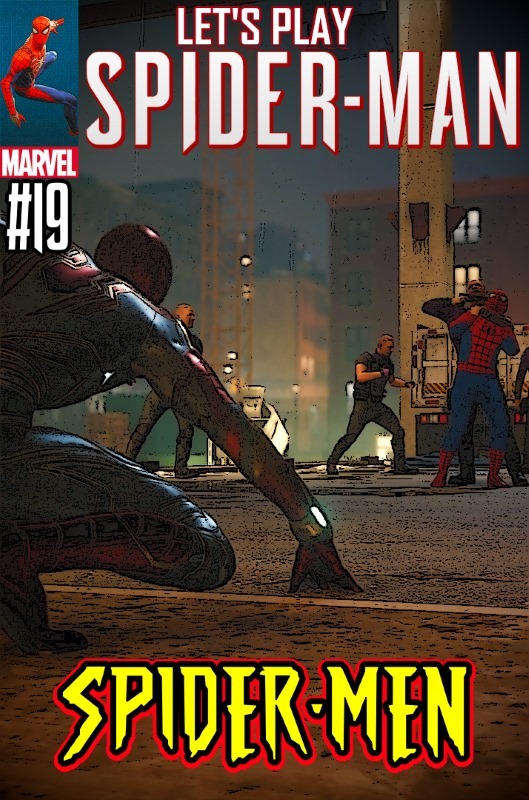 We do some spider-sleuthing at Oscorp to finally find out the terrible truth about Devil’s Breath (and discover that I am incapable of seeing the number 40 without immediately thinking about Lex Luthor stealing forty cakes), and MJ decides to sneak into Sable International’s main compound. 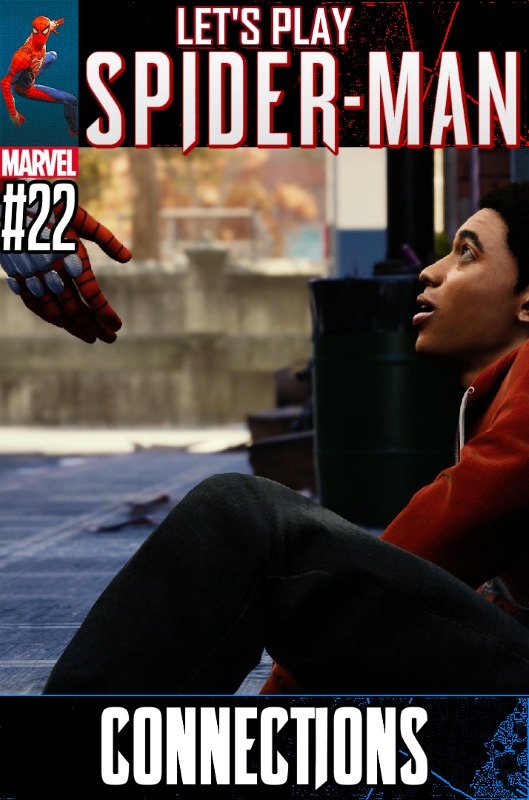 We learn more about Dr. Octavius’ story, and Spider-Man meets his biggest spider-fan. We also punch some Demons but who cares about them.